Italy will celebrate 50 years of diplomatic relations with China next year, and is cozying up to Chairman XI and his Belt and Road Initiative. It appears that Italian President Sergio Mattarella and Premier Giuseppe Conte are attempting to renew the idyllic relations between Mussolini’s Italy and Chiang Kai-shek’s China, circa 1930-1937. As one can imagine, the typical reactions are being voiced by all. The Italian aim is to more broadly deepen trade and cultural ties, while Conte has even suggested that Italy could play a role in easing tensions over trade between China and the United States. I would consider that doubtful. 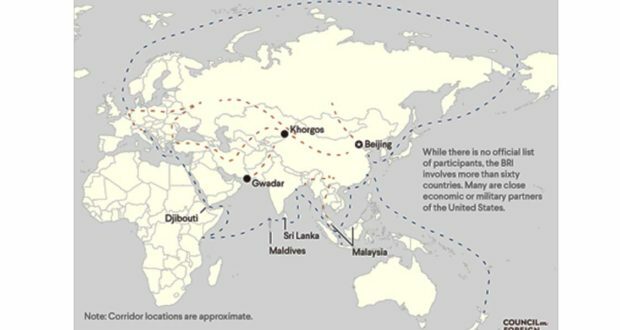 China, for its part, hails the Italian signature as a first step in reinventing the Silk Road once traveled by Marco Polo in the Middle Ages. “Our two countries may harness our historical and cultural bonds forged through the ancient Silk Road,” Xi wrote in the Corriere della Sera newspaper this week. 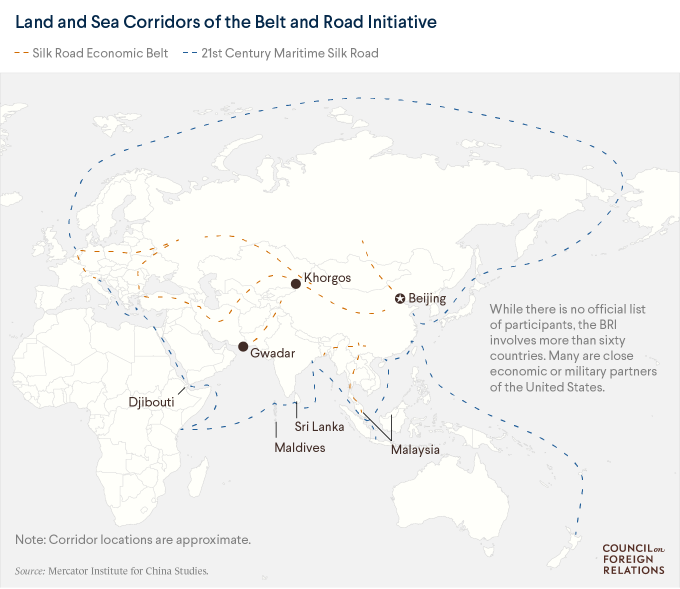 The side-story here may be as interesting as the Belt and Road headline. Xi has a planned travel schedule, which includes a visit to the Sicilian city of Palermo before departing Sunday. No mention of a trip to Rome or Vatican City, where China and the Holy See haven’t had diplomatic relations for over half a century. Pope Francis has weighed in on numerous issues, generally espousing his liberal slant. One can only wonder if there is any discourse in their antithetical beliefs. However, in a recent twist, Cardinal Pietro Parolin, Vatican secretary of state, when asked Tuesday about Xi’s visit, said, “Our door is always open.” Chairman Xi minces no words on his Maoist views of religion, accelerating the pace at which faith, especially Christianity, is being extinguished from Chinese society. The Trump administration has criticized the deal, saying it is weighted in China’s interests. Italy’s European allies have declined to sign a joint declaration on the Belt and Road, saying it lacks standards on financing and transparency. Like the United States, Italy runs a trade deficit with China. One billion Chinese consumers provide a market for 13 billion euros (nearly $15 billion) in Italian goods, while Italy’s 60 million people buy 60 billion euros in Chinese-made products each year. Italy’s undersecretary for economic development, Michele Geraci, says that “Italy sees China not only as an economic partner of prime importance, but also as a driver of global trade, and a market for Italian technology and expertise in areas like environmental protection, food security, health services and machinery. Let’s take a step back and look for the transparency that is lacking here. Italy will be jumping into this initiative with no rules or regulations being cemented in place. This will only benefit the Chinese. How comfortable would you feel having China rebuild I-95 and other pressing infrastructure needs in the U.S. With technology as ubiquitous and anonymous as it is today, Pandora’s Box will be open for the Chinese to exploit. Some analysts see the project as an unsettling extension of China’s rising power. Was Last Week’s Decline a One-Time Thing or the Start of Something More?